Despite the hype surrounding many other analytics technologies, businesses today continue to find the most value in using business intelligence and reporting dashboards. "A lot of people discount reporting and dashboards, but you shouldn't because they're the mainstay of BI," said Howard Dresner, founder, president and chief researcher at analyst firm Dresner Advisory Services LLC in Nashua, N.H.. In a presentation at his company's Real Business Intelligence conference, held at MIT in July, Dresner compared users' perceptions of the value of data dashboards with other analytics technologies based on end-user surveys conducted by the firm. He said big data has only recently crossed the threshold of providing more value than hype. Businesses are just now starting to investigate what cognitive technologies can do for them, Dresner added. On the other hand, he sees visual data discovery actually declining in value, partly because it is increasingly being used as a simple replacement for existing BI dashboard software. Even so, in the surveys, reporting tools and dashboards consistently rank as the most important and second most important tools for business intelligence users. Dresner said this ranking is because, no matter how sophisticated an analytics tool is, success always relates to how you use it, not what it can do. "Tech doesn't seem to contribute much to success or failure," he said. "There are always going to be things that emerge, but you want to be circumspect about them." But just because BI dashboards continue to be central to business intelligence strategies, that doesn't mean businesses can continue to do things the same way they did in the early days of BI. At the conference, Dresner Advisory analyst Bill Hostmann said new types of data are coming into the enterprise from an increasing number of sources. "It's going to put the analytic data infrastructure under a lot of pressure," he said. In the earlier age of BI, enterprises could build dashboards that pulled information from a centralized data warehouse. Ideally, the warehoused data was cleansed, standardized and governed. If so, that made it relatively easy to pull data into dashboards and create new reports. But Hostmann pointed out that businesses have increasingly adopted open source big data systems, like Hadoop and Spark, as well as cloud data platforms, and are now using these tools to manage increasingly exotic data types, including web clickstream and social media data. The enterprise data warehouse, once the foundation of BI dashboard software, is now just one source among many. To manage this situation, Hostmann said, organizations need to rethink how they govern their data. Openness is still important, so BI teams have to manage many different access points. But in doing so, he said, they will need to put in place policies for tracking data lineage. Knowing who changed data or where the data in a specific dashboard came from plays a key role in ensuring that various business users trust reports. New governance policies have to spell that out, Hostmann recommended. Just because these new data systems are flexible and can do virtually anything doesn't mean anything is possible. To use them effectively in a BI environment, business users have to accept limits on the types of data they can pull into certain dashboards. "As we start to get more users, use cases and data types, we're going to have to have an organizational contract that says, 'I'll give up certain things in order to get bigger benefits,'" Hostmann said. Once the underlying data architecture and governance policies are put in place, BI teams have to think hard about how they want to use their dashboard tools. Often, businesses fall back on tracking relatively simple metrics, like sales or revenue. But Chuck Hooper, owner of consultancy BIAlytics, said at the conference that all metrics tracked and presented need to drive toward specific actions. When developing dashboards, BI teams should keep the desired actions in mind and build metrics around them, Hooper advised. For example, a metric tracking how many deals the sales team needs to close to meet its quota is going to be more impactful than a metric tracking general sales numbers. Hooper said this is all part of using data effectively to tell a story. BI dashboard software can be a great way to keep business teams updated on how they're performing, but to get to the next level, it has to be all about driving action. "You need to have the outcome resolved first," he said. "You need to know what your story is about." 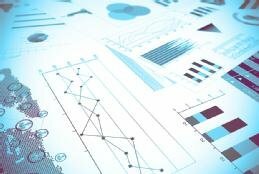 What are your tips for developing effective BI dashboards in a big data world? This comment, "keep the desired actions in mind and build metrics around them" is spot on. The old way of doing is has been to rely on IT or an analyst to build and update the dashboard. The new and better way is to allow the business decision maker to directly and easily access real-time information on performance vs goals themselves. Try Domo to see what the future of business management looks like. Dresner, Hostmann and Hooper are exactly right. If vendors spent more time wandering the halls of their clients they would see that reports (in all their various forms) still reign in decision-making. But it's par for the course for technology vendors to throw their predecessors under the bus to make their case. The thing to watch, though is report automation, where the content and logic of reports are driven by intelligent systems.